If you are a heavy equipment operator looking for a new position, you might find the job market a bit crowded. Writing a great resume can be the difference between landing an interview and being passed over entirely. It’s important to write something that highlights the best aspects of yourself, your experience, and your qualifications. For the stellar heavy equipment operator, resume credentials will also help you stand out from the crowd. Let’s take a detailed look at writing an excellent resume for your position as a heavy equipment operator. It all starts with your certifications and permits. Ensure your up-to-date certifications are placed at the beginning of your resume as your potential employer will likely check for them first. For example, an OSHA Compliant certification will let your potential employer know that you are a safe worker. Your certifications also show your ability to perform with expertise and regard for the well-being of yourself and those around you. After all, most companies are not allowed to hire individuals who do not have these types of certifications. Employers will look at a heavy equipment operator resume and want to see the right amount of experience. They want to know that you can perform the essential duties of the job, of course. In addition, they want to know that you are comfortable enough in the position to face any unsafe situations or confusion. Be sure to display all of your experience high up on your resume, perhaps right underneath your certifications. If you don’t have much experience, your certifications can help you – be bold about your ability to perform. Heavy equipment operators should show that they have operated multiple types of heavy machinery on their resume. Having experience with various vehicles and brands will help you to stand out. It will increase not only your chances of being hired but also your pay. All things considered, make sure this information lands on a visible spot on your resume. While most labor-intensive jobs do not always require education past high school, it is still something to include. If you continued your studies past high school, that’s great. If you don’t have a high school diploma, it is essential that you acquire a GED as soon as possible. Many employers will pass on candidates without their minimum education requirements. Are you ready for the interview? You should be now! If you’ve included the information detailed above in your heavy equipment operator resume, you’ll likely receive an interview. Remember to dress well and be polite and attentive. It’s also important that you do your research about the job and the company. Take note of their values, their mission, and their areas of expertise. Make sure you have a few questions that pertain to the company, even if you’re asking about opportunities for growth. Employers want to see that you show interest in the job, too. A great resume is the start of a successful job search! Take your job search for a heavy equipment operator position to the next level. 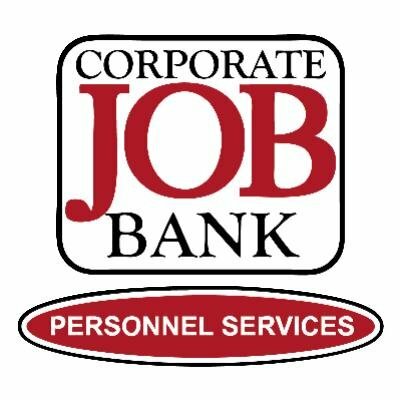 Contact Corporate Job Bank and submit your resume to find your next dream job.